It's turkey time! Well, the beginning of it, anyways. 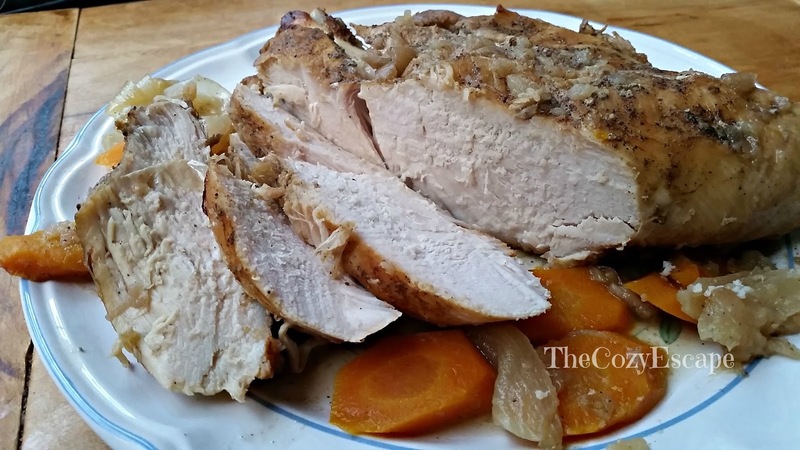 One of my favorite meats to eat during the fall season is turkey. Besides its popularity with Thanksgiving, turkey lends itself to this cozy time of year because its milder taste pairs extremely well with late summer and early autumn's heartier harvest. It is a lighter meat that lets you eat heartier sides without feeling disgustingly full (unless you eat the whole bowl...that's another story). 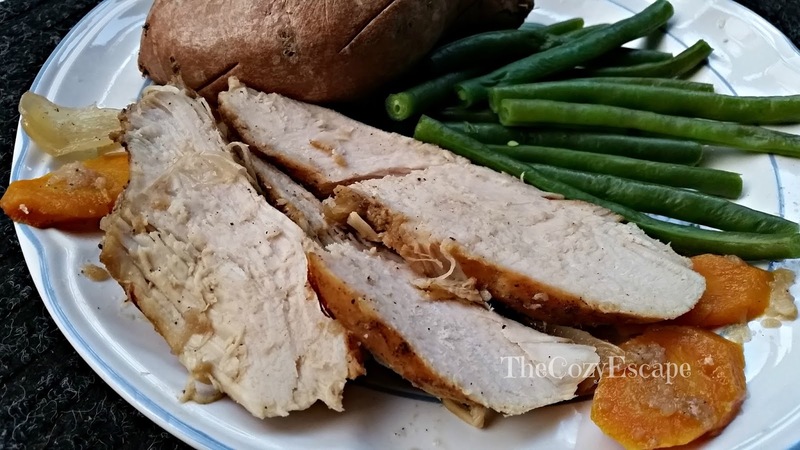 Unseasoned turkey meat is rather bland, but when fully seasoned and flavored with herbs, fruits, and vegetables, turkey can have a delicious, robust flavor. 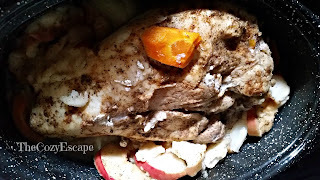 I like to enjoy turkey meat before Thanksgiving because it gives some variety to my meals. 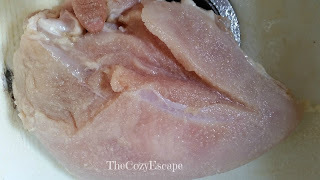 However, messing around with an entire turkey can be quite tedious, which is why I buy just the turkey breast. 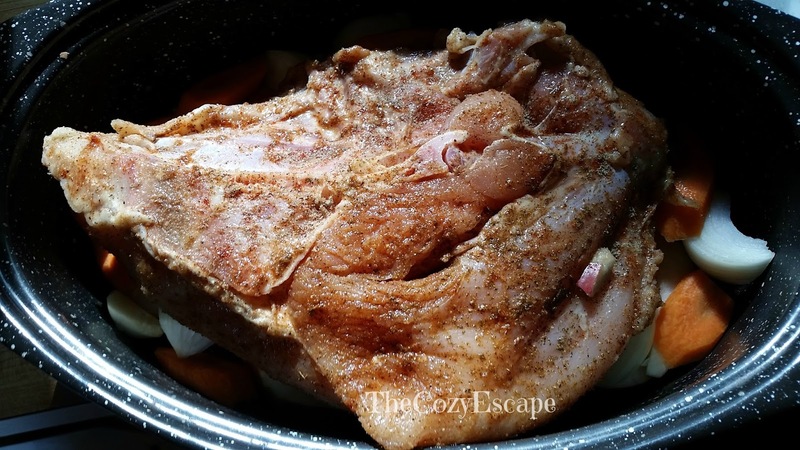 While many people may shun this part of the meat because it tends to be a little drier, if prepared right, it can be healthy, flavorful, and moist. For today's recipe, I fuse sweet apples and carrots, spicy garlic and chili powder, and aromatic onions and sage to flavor my Baked Autumn Harvest Turkey Breast. Core the apples, and then slice them into rings. 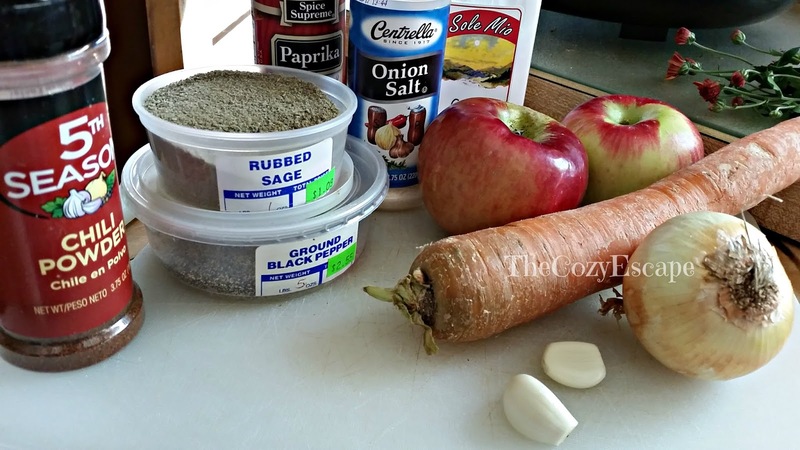 Slice the garlic cloves, onion, and carrot as well. Then, take all of your fruits and vegetables, leaving three apple rings to the side, and disperse them on the bottom of the baking pan. 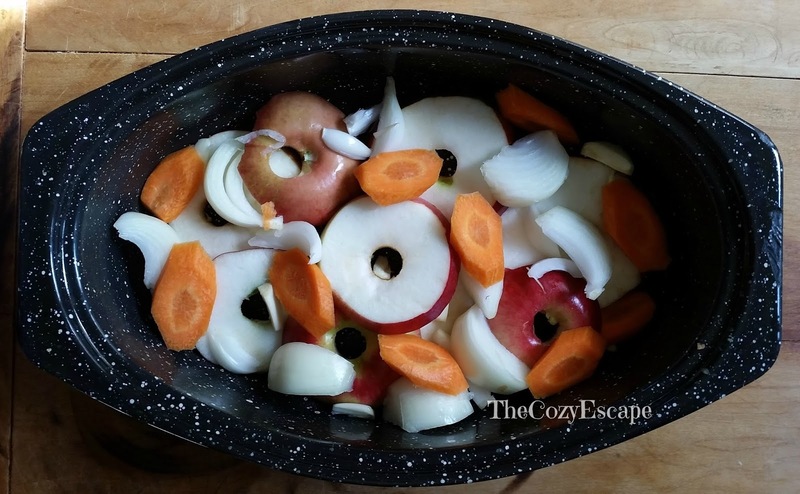 Be sure to evenly arrange the fruits and vegetables so that the different slices can be found all around the pan. Generously coat the turkey breast with onion salt and garlic powder, making sure to completely cover the whole breast. 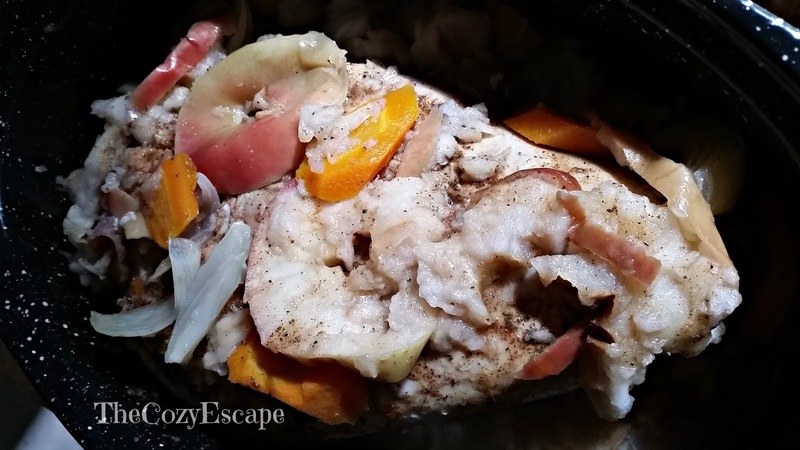 If there are any "crevices", be sure to put the seasonings into them as well! 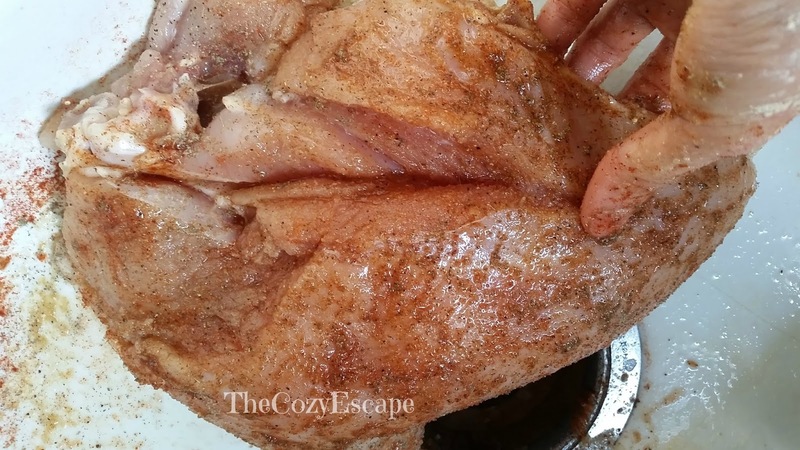 Evenly sprinkle a thin coat of pepper and paprika on all sides of the turkey breast. Then, lightly dust on the chili powder and rubbed sage. If you like spicier food, you can add a little more chili powder, but these two spices are meant to just add a hint of extra flavor. 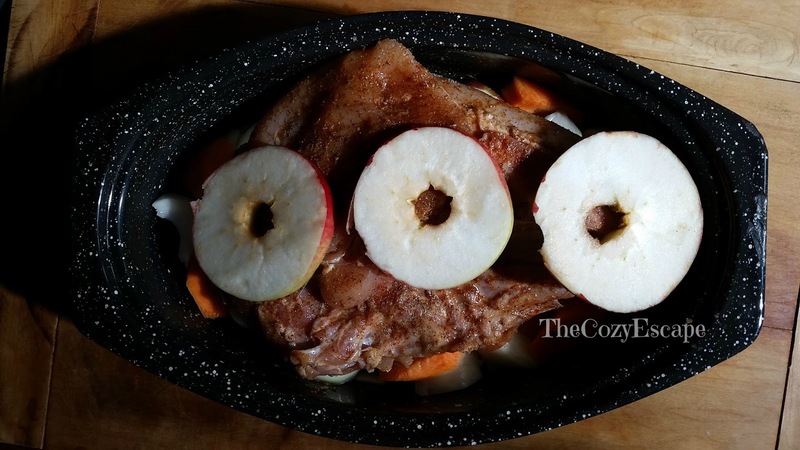 Place the seasoned turkey breast breast-side-down in the baking pan on top of the fruits and veggies. 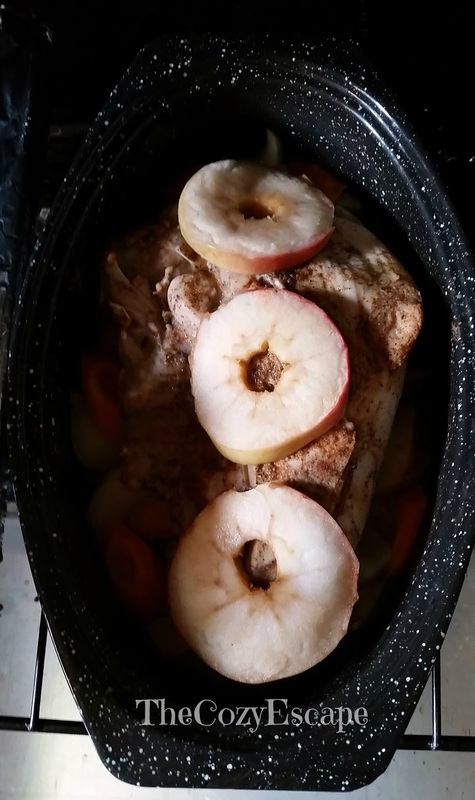 On top, place the three apple slices, covering the underside of the breast as best as you can. 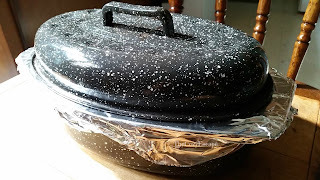 Pour 1/3 cup water into the pan, tightly cover the pan with foil, and place the lid on top. Put the pan into the oven once the oven is heated. After 1 hour, carefully remove the turkey from the oven and uncover it. 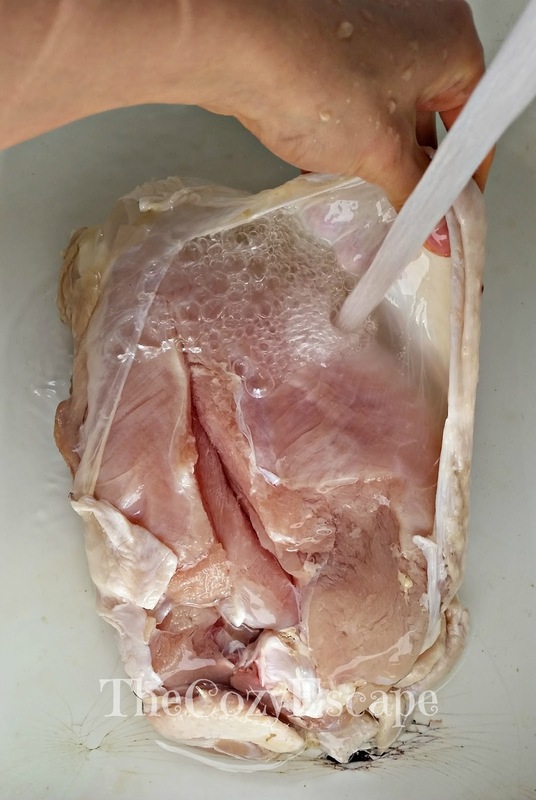 Using your tongs, flip the turkey breast so that the breast meat is now facing up. 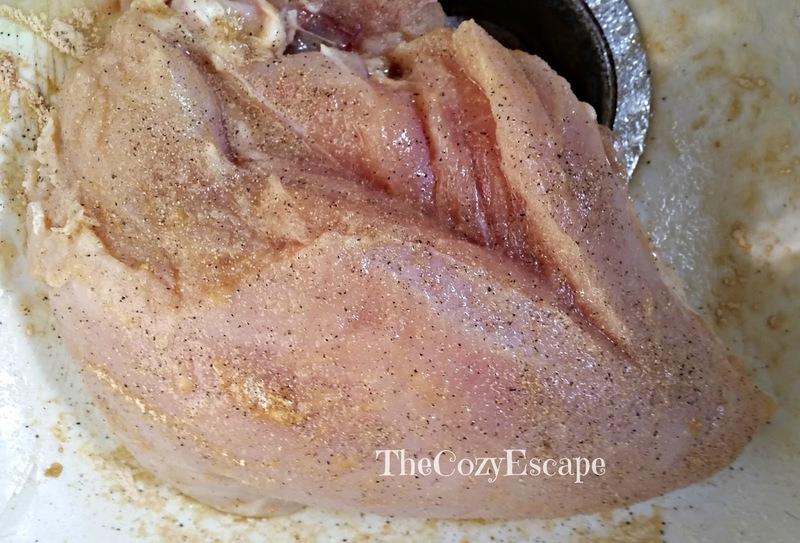 Scoop up some of the juices from the bottom with your spoon and ladle it over the breast. Take some of the cooked veggies from the bottom and sprinkle them on top of the breast as well. 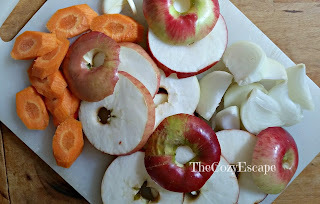 The apples and other veggies won't look very pretty, but you want the flavor that they give off, not their appearance. Recover the pan with the foil and lid, place it back in the oven, and resume baking. The time that your turkey will now bake depends upon its size and your oven. Bake the turkey for about 30 more minutes, and then check the temperature at the thickest part of the turkey breast. The temperature should read at least 165 degrees for it to be ready. 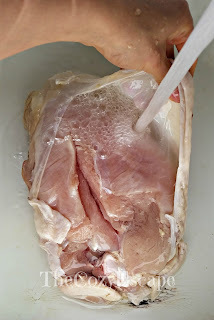 If the turkey has reached that temperature, you can slice the breast to make sure that the slice looks completely cooked through (solid white). Once the meat is finished, take it out of the oven, keep it covered, and let it sit for 30 minutes. Otherwise, keep the turkey cooking in the oven until its internal temperature reaches 165 degrees. Before serving, put the turkey breast uncovered back into the over. Using your oven's broil setting, broil the turkey for 10-15 minutes for a little crisp, flipping the breast halfway through the time. After your desired "crisp" has been reached, serve the turkey warm with your favorite fall sides!